← Have Geophysicists Found Suleiman the Magnificent’s Heart? Chemistry Lab: Tie you hair back. Wear lab coats and safety goggles! Physics Lab: Get assistance before lifting wave tank. Use sturdy shoes! Biology Lab: Always wear goggles, rubber gloves, and face mask! Geology Lab: Here’s a rock. Take turns licking it. I went to high school in the 1970s. The sciences were Grade 10 Biology, Grade 11 Chemistry, and Grade 12 Physics. I don’t remember geology being taught at all, except in Grade 8 where rocks and volcanoes were mentioned along with a bit of astronomy and meteorology. About 40 years later, I’ve got kids in the local public school and they don’t have geology as a standard science offering, either. But that’s changing. 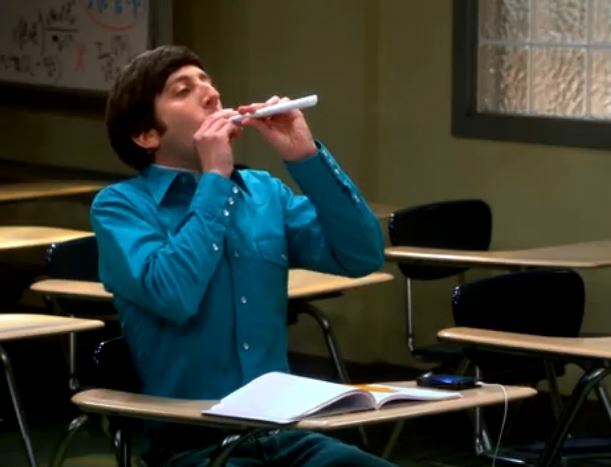 Howard would enjoy geology more. I’m in Calgary, a Canadian city of over a million. There are a lot of opportunities for kids in this community. Geology is important here and public school classes in the science are offered. Geology has a lot of advocates – Calgary has 3,000 resident geologists and 350 geophysicists. We can see the Rockies from our living room, so plate tectonics and Devonian fossils are literally in front of us, all the time. To the east, prairie soil covers billions of barrels of oil while the nearby mountains are made of concrete-grade limestone. They also have silver, copper, and bits of jewelry scattered among crinoids and ammonites. Just south of town is the world’s largest erratic, delivered to us by a 500 kilometres along a glacial train. It’s proof of the power of ice, glaciers, erosion, and changes in geomorphology. A short drive to the east, among badlands and hoodoos, is our world-class Tyrrell dinosaur museum, home to the bones of local Albertosaurus and Tyrannosaurus specimens. Our provincial government is concerned about carbon dioxide and global warming, so that’s also a topic geology students are studying. There are plenty of reasons to teach earth sciences here. Or anywhere, for that matter. Calgary is also home to a major office of the Geological Survey of Canada. I’ve worked with some of its scientists. They are all keen to help people learn about geology and geophysics. One of the GSC folks is Godfrey Nowlan, who has helped design a high school geology course for Calgary schools. 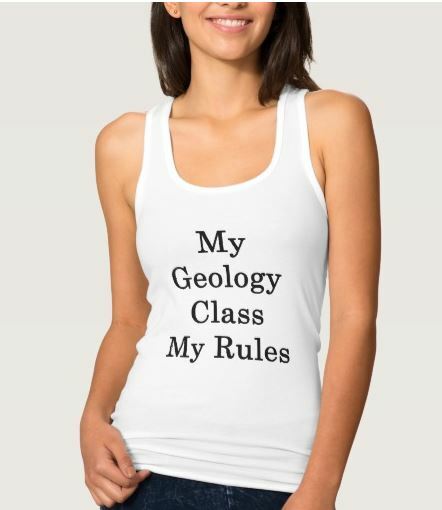 It’s called Geology 25, which means it is directed towards 17-year-olds in either Grade 11 or 12. The high school geology modules were designed to offer 3 hours of lecture and 1 of tutorials each week. There’s not much time for kids to get bored and throw spitballs – nor should they want to, considering the interesting material and activities. There are also labs focused on three key studies: 1) examination of an item for its mineral content and study of the geology of mines that produced the components; 2) dissection and background of sample fossils; and, 3) study of geological/geophysical disasters and responses. Glaciation and climate change are topics of field trips. It’s surprising that such a course isn’t offered everywhere. I’m searching for feedback from teachers and students of this or other similar programs offered in other parts of the world. If you’ve got such experiences to share, drop me a note, please. This entry was posted in Culture, Science Education and tagged Alberta, Calgary, classroom geology, high school geology. Bookmark the permalink. My son takes Geology 12 in his BC high school in Chilliwack. I am a geoscientist with a specialization in terrain analysis and soil science, so I know a bit about geology. The information that he has learned is pretty close to a first year university geology course. They cover basic geologic mapping, rock and mineral identification and classification, introductory geomorphology and hydrology, and introductory structural geology. Thanks for letting us know! Glad it’s offered in Chilliwack. Your list of modules (mapping, rock/mineral ID, geomorphology…) is a nice reminder of the useful material that can be offered in a high school geology course!